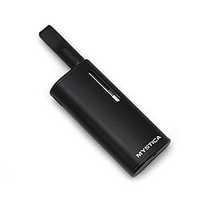 Introducing the Mystica Portable Vaporizer. This device is the perfect pairing for your Disposable essential oil Cartridges. Portable and discrete, the Mystica Vape pen elegantly fits your cartridge with a magnetic threading. 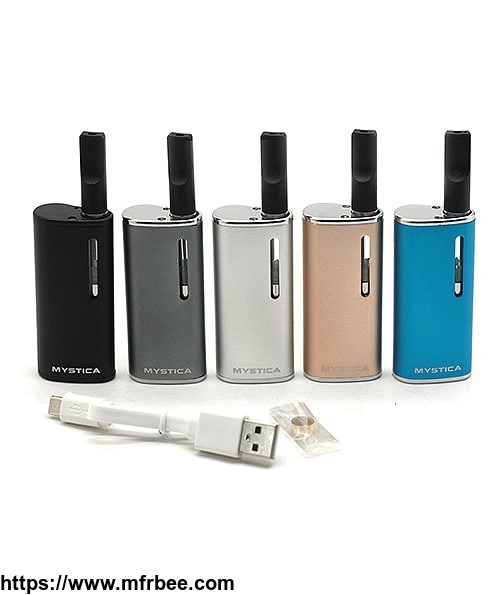 The Mystica measures in at around 2.5″ tall and is just over an inch wide, leaving you with an extremely compact device that can fit easily in the palm of your hand. The Mystica pocket vaporizer can be paired with most pre-filled cartridges on the market and comes with 1 empty compatible vape cartridge. Simply remove the magnetic adapter ring from the package, thread it onto the base of your cartridge, and drop it into the Mystica’s housing and the internal magnets will create a secure connection. 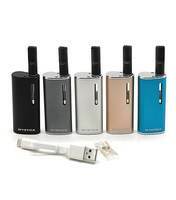 The Mystica Vape features a long-lasting 650mAh embedded lithium-ion battery with pass-through charging and an innovative oil window on the side of the device. This oil window offers a clear view into your oil attachments to ensure you are able to quickly glance down and see exactly how much oil you have left inside without ever actually having to disassemble the device, perfect for use on the go. Note: You must screw the 510 magnet in the box onto your cartridge.